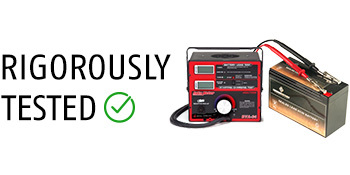 Our batteries have gone through exhaustive testing to ensure they can handle any situation easily. YTX14-BS sealed AGM batteries by Chrome Battery are constructed with lead calcium alloy and absorbed glass mat technology that allows for a completely maintenance-free and high-performance operation. Dimensions: (H)5.94" x (L)5.78" x (W)3.46"